Mother's day is always big for politicians, since mothers make up the very fabric of the community and are always prominent in politician's campaigns. And, so, the Barrow Administration has created a kind of Mother Day Gift Giving programme to match its controversial Christmas Cheer programme. 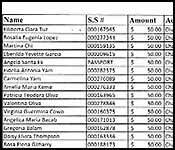 All 17 UDP Representatives were earmarked fifty thousand dollars each to share with his constituents on mother's day. 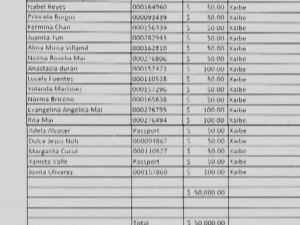 Lists like these ten sheets for Corozal Bay in which we count counted 398 names, show that each mother who was selected received one hundred dollars. 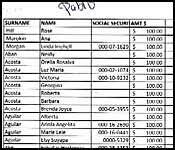 In Corozal North, Representative Hugo Pott gave fifty dollars each to one thousand mothers. In both cases, cash is not handled directly by politicians, but the recipients get vouchers which they cash at the government treasury. Not all divisions gave cash vouchers: In Belize Rural North Edmund Castro says he gave away 1,500 gifts. The Opposition has called it state sponsored party political patronage, but the UDP - which has been doing the Christmas Cheer programme since late 2011 says that it is simply a way of sharing with the most needy. Minister of Health, Pablo Marin, might worry about pesky health-related matters like a lack of basic medication, no money to hire doctors and no money for properly equipped ambulances…but politician and area rep for Corozal Bay, Pablo Marin, doesn’t have those worries. His most pressing concern this weekend was probably how best to hand out fifty thousand dollars given to him by G.O.B. As we reported last week, seventeen U.D.P. Area Representatives received fifty thousand dollars each from the Ministry of Finance. That’s eight hundred and fifty thousand dollars out of government coffers, given to U.D.P. area reps to fund Mother’s Day programs. It’s an extravagant use of public funds, especially against the setting of the Health Sector Strategic Plan launched this morning. But it happened. In Marin’s case, at least, the money wasn’t used to fund a Mother’s Day Program. He simplified things, basically selecting women whose families are party supporters and giving all of them one hundred dollars each – end of story. In the end he handed out only about forty-six thousand dollars…not bad for one day’s work. 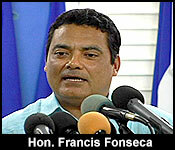 His colleague in Corozal North, Hugo Patt, did the same. But in his case, he handed out the entire fifty thousand, fifty and a hundred dollars at a time. We assume that all seventeen U.D.P. area reps did basically the same thing. Just to make it clear – this wasn’t party money drawn from the coffers of the U.D.P. or from the pockets of the area reps. 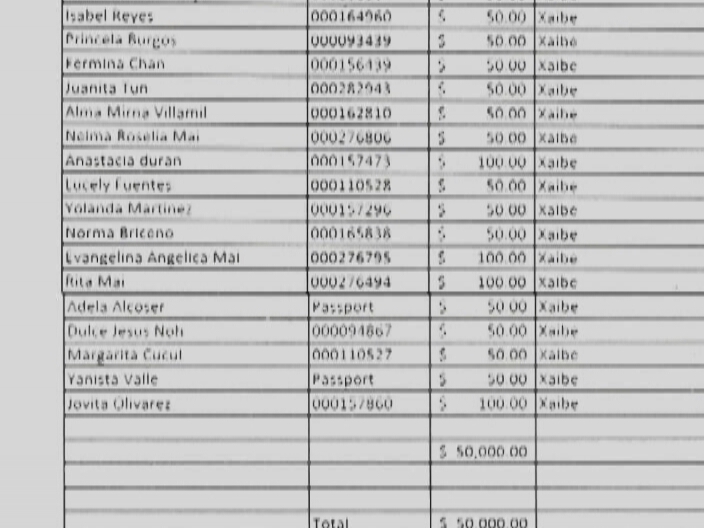 The eight hundred and fifty thousand dollars came out of public funds, given to them by the Ministry of Finance. Last night we showed you how the Barrow Administration's Mother's Day Gift Programme works. Each UDP area representative was earmarked fifty thousand dollars to distribute to mothers in their constituency. Most, we gather, distributed fifty or a hundred dollars vouchers, while others gave gifts of an equivalent value. The programme is alleged to have cost 850 thousand dollars and based on the feedback we have gotten, it was shored up amongst fifteen to twenty thousand recipients, presumably all mothers living in divisions with UDP representatives. The 14 PUP Representatives didn't get anything - unlike what happened with the Christmas Cheer Programme - when they got, but significantly less than their UDP counterparts. That's politics as usual, but today the Opposition cried foul. They held a press conference to say that it demeans democracy:..
"What we disapprove of in the strongest terms is the use of the people's money - tax payers' money to fund gifts and parties in connection with mother's day in a way that is partisan, patronizing and political. Such is move is just plain wrong. 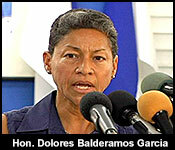 The misuse of Belizean tax payers' money for solely partisan political purposes. As our secretary general has told us belittles and cheapens our democracy. We therefore call on all of Belizean civil society including our religious and faith leaders to join us in condemning this dishonest and offensive approach to carry in favor." "I think the point is Jules that as many has said because that is the UDP propaganda that is their line: it was done by the People's United Party, so we can do it as well." It is worth noting that in the aftermath of the 2008 defeat, many PUP politicians we spoke to felt that the pre-election giveaway backfired because it created a feeding frenzy among their supporters, many who ended up with hard feelings because they did not end up getting any housing loans. 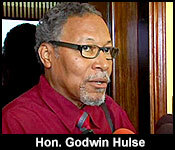 One man who should have an interesting perspective on all this is Senator Godwin Hulse. He is now a UDP Minister but he came from civil society where state sponsored patronage is universally frowned upon. But now he's on the inside, and he told us that basically once you're on the Cabinet Team, you have to go with the flow:..
"With respect to the mother's day program, this is a government and a cabinet decision. There are thousands of mothers who have benefitted, the names are public, the funds are accounted for and it's a government program. We will take the criticism of course that it's not given to everybody, but that is the nature of the political beast. I have no absolute problem with respect to the fact that it's done open and transparent and upfront which has always been my mantra. I personally had always seen it from an equitable position in lots of ways, but I also seen the cabinet from things that should and shouldn't happen - I am a member of a team, a member of a football team, so to speak and when I was outside the team I spoke to the team. I am in the team. There are lots of things in cabinet I don't agree, but they are not big enough for me to walk away from because there is a bigger agenda and a bigger program that I want to further and so I stay there to further that and the small things I dismiss. I am a member of a team, I might not like how my colleague kick a goal or not kick a goal, but it's a member of a team." "Listen to what is going on: I think you might need to go and ask the people of Port Loyola what they received. You all are trying to make a political thing especially Channel 5." "Sir, was the $50,000 government money or party money?" "What.... you gave me $50,000 sir? Did you give me $50,000? Where did you get $50,000 from?" "So you did not received $50,000?" 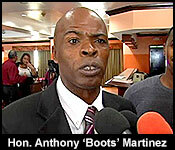 "Me, Anthony "Boots" Martinez received no $50,000. I not even received one dollar. The only time I receive money from government was when I received my pay Channel 5. Through the Ministry of Finance the mothers from my constituency did get some support, some mother's day gift."